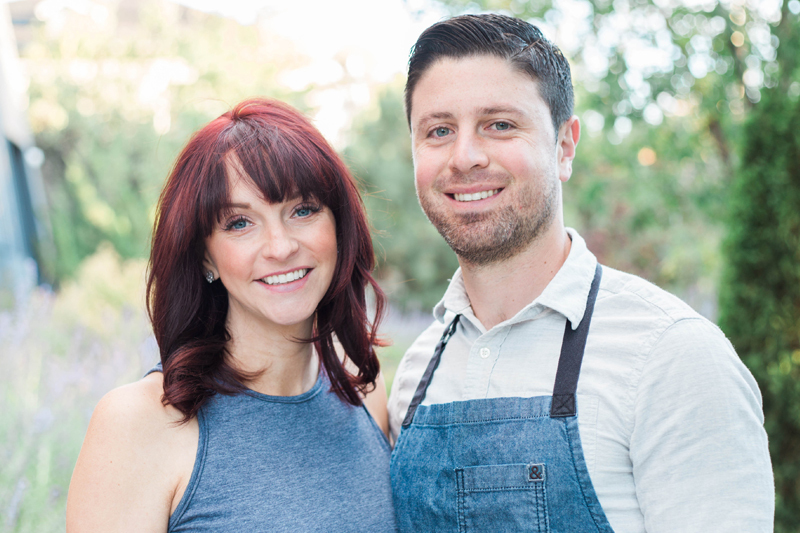 Josh and Whitney Deri first were introduced to One World Kitchen in Sparks while getting their own catering company, Blend: A Catering Company, off the ground in Northern Nevada. One World, which had been in business since 2010, acts as a brick-and-mortar commercial kitchen, incubator and co-working space for local culinary entrepreneurs and startups. When One World owner Sara Russell, was interested in selling the business in 2015, the Deris saw great potential in the opportunity. Although One World had already carved out a successful niche, the Deris have diligently put their stamp on the business since purchasing it. They’ve invested in doubling One World’s space to 4,000 square feet while expanding kitchen space along with other amenities such as installing a walk-in cooler and dishwasher for client use. Aside from tenant improvements, the Deris have also implemented other services like adding baking sheets and dry shelving racks for product storage, and fresh towels for clients. Entrepreneurs are responsible for providing their own ingredients and smaller cooking utensils. A small meeting room at the space is available so startups can present tasting demonstrations or host meetings with potential customers. The force behind the aggressive plan is the huge demand for One World from culinary startups that are practically beating down its door. Currently, there is a waiting list of at least 100 startups and normally it takes at least 3-4 months for an entrepreneur to get into One World. Potential startups can apply on One World’s website. Startups are charged on a month-to-month basis, with no limitations on how long they can stay. One World starts out with charging a flat fee of $250 for 20 hours a month at the facility, but they try to be flexible on rental terms depending on a startup needs. The facility is open 24 hours a day, seven days a week for client use. Josh Deri said any food-related entrepreneur is welcome, as long as they already have approval from the state and county health departments. Entrepreneurs are required to obtain their own business licenses and provide proof of insurance. Among the notable culinary startups that have been harvested at One World is Sugar Loves Chocolate, which recently moved into its own space in downtown Reno. Other startups that now call One World home are Nevada Brining and Amato’s Family Kitchen. Whitney Deri, a native of Reno, met Josh while attending the famed Culinary Institute of America in New York. After school, the couple experimented with running catering companies in Josh’s homeland of Florida and in the Bay Area, but found those areas weren’t always conducive to such businesses and ended moving to Northern Nevada. 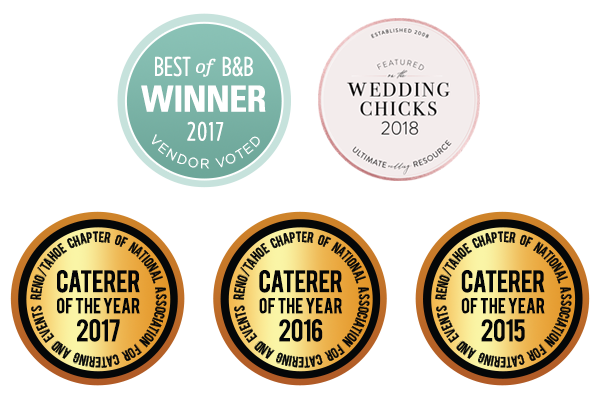 They went to work for Roundabout Catering before developing their own brand, Blend, A Catering Company. The Deris were referred to Russell’s One World Kitchen to help develop the catering company. When Russell decided she wanted to sell One World and it was a prefect match for the Deris who were impressed with what the commercial kitchen had to offer. As a part of the deal they also acquired Russell’s catering company Perfect Pear, to augment their own business. “We were very lucky in that (Russell) was able to provide seller-financing options for us to do the deal,” Whitney Deri said. Aside from acquiring One World and Perfect Pear, they’ve also added Great Thyme Catering to merge with its Blend brand. “With the addition of Great Thyme, it allows us the flexibility to cater a lot more events,” Josh Deri said. The couple said juggling the time between One World and their catering business can be challenging. They’ve also started a family. Their son, Dylan, is now eight months old. The Deris can depend on the Blend catering staff to also assist in duties at One World, including restocking shelves and overall maintenance of the facility. Blend is still operated out of One World facility although the Deris want to move operations into another space as it grows to allow more room for other One World clients. Other businesses occupy space one both sides of the One World space, located off of Spice Island Drive in Sparks, limiting its ability to grow on site.